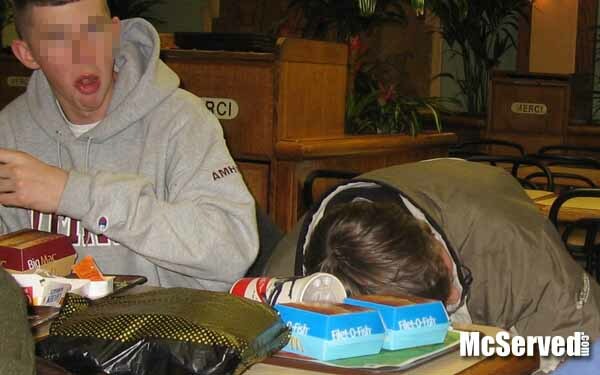 France | McServed: Getting Served McDonalds Fast Food Funnies, Laughs and More! Obviously sleeping is more important than eating for this fella. Then again the mess he looks like, its probably better that he’s out cold before his Filet-O-Fish rather than face down in it. These horses were crapping all over the place in the drive thru at McDonalds. Not to say its any different from the food there. 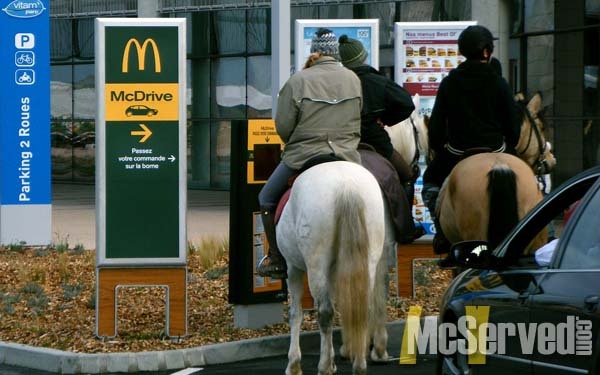 Drive Thru, People tags: France, horses, Paris.